We often give our sofa all the attention when decorating our living room, and for good reason. It needs to be comfortable, long-lasting, and beautiful. 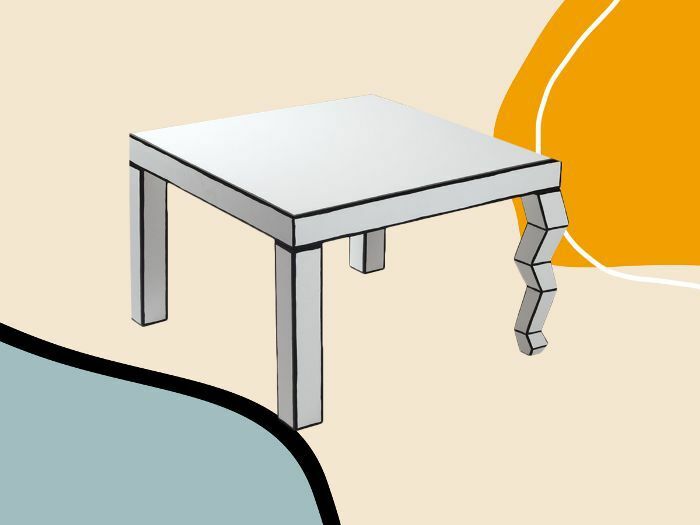 In the process, though, we often tend to neglect another piece of furniture that has the potential to completely transform a room: the coffee table. Yes, a simple, basic coffee table is great when you're just starting out, but if you've already decorated your space and are in the process of slowly upgrading a few pieces, you may want to take a look at that living room standard. 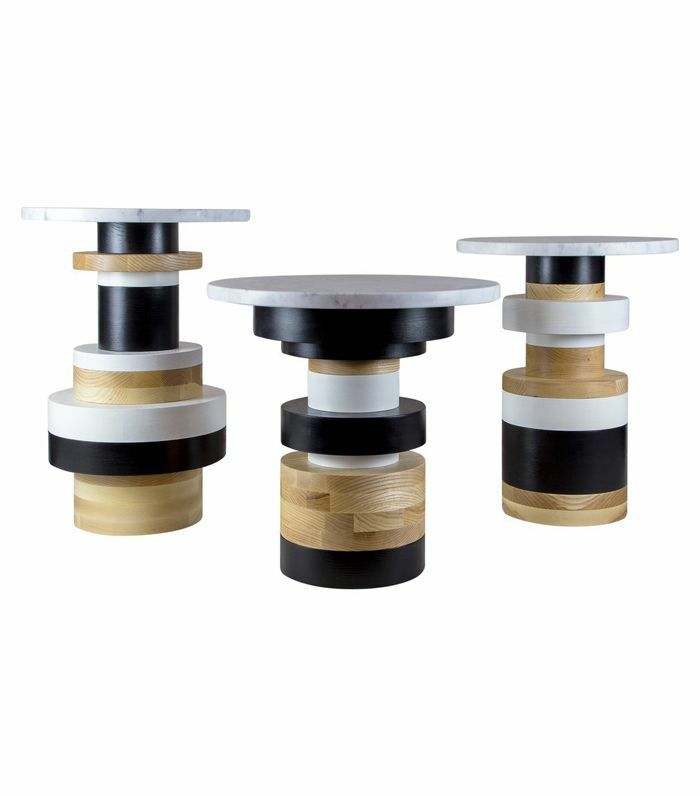 These unique coffee tables are not your run-of-the-mill furniture pieces. 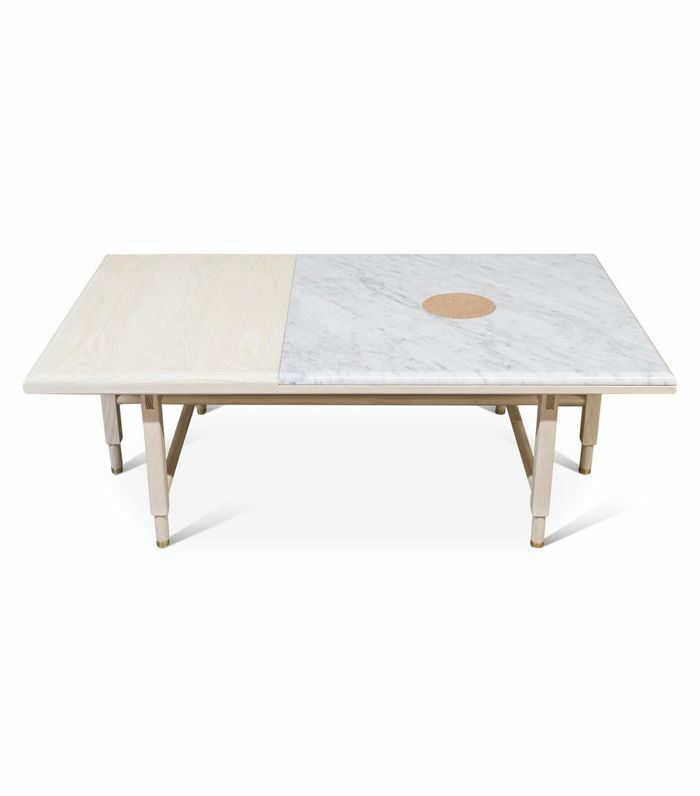 Made from marble, copper, travertine, and solid oak, these tables will make a unique statement in your space. The right coffee table can singlehandedly make a room feel more expensive, so don't skimp. 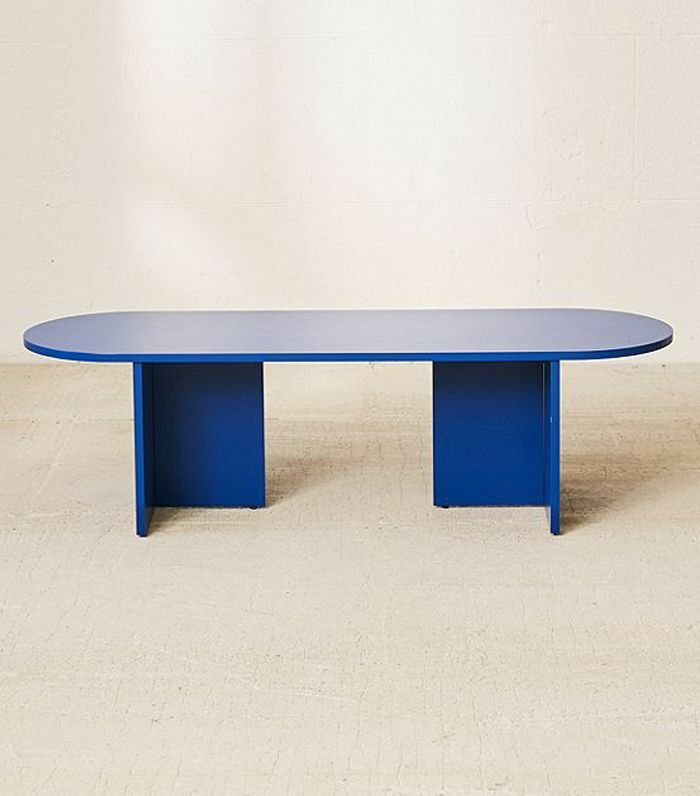 These are our favorite unique coffee tables, and best of all, they're priced as low as $229. 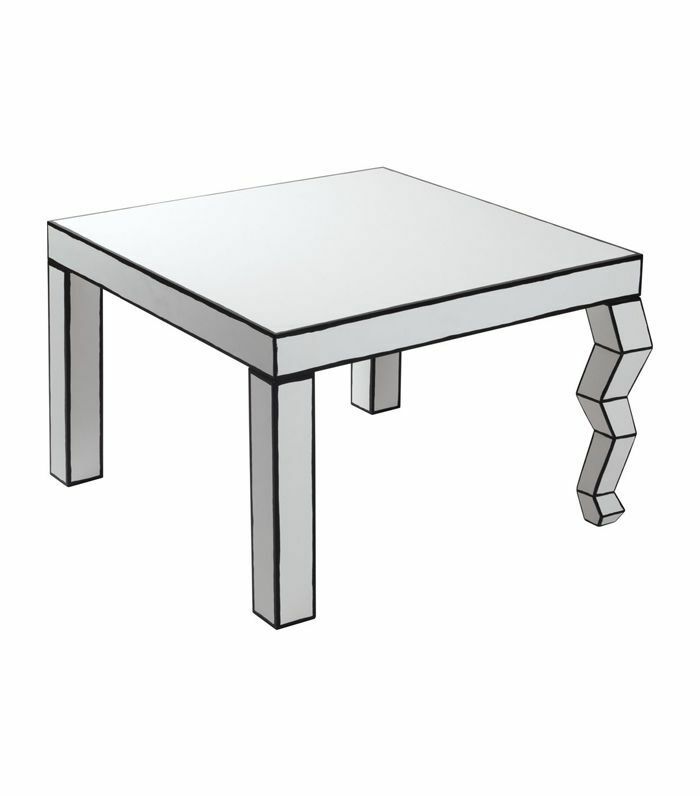 Not only is this coffee table seriously chic and affordable but it also has very handy concealed storage. Win, win, win. 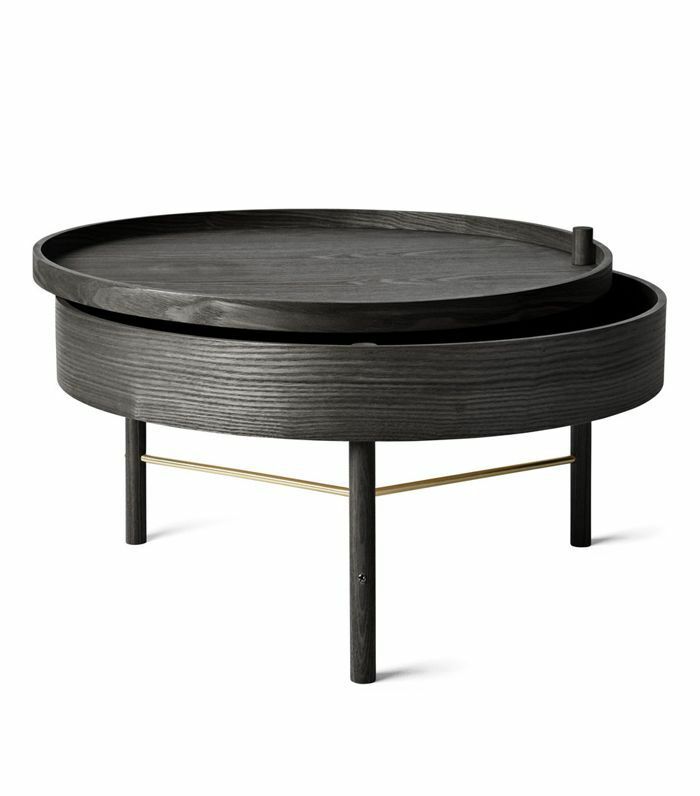 This may be our favorite coffee table under $1000. The marble top and demi-lune oak legs look even chicer with the brass base. 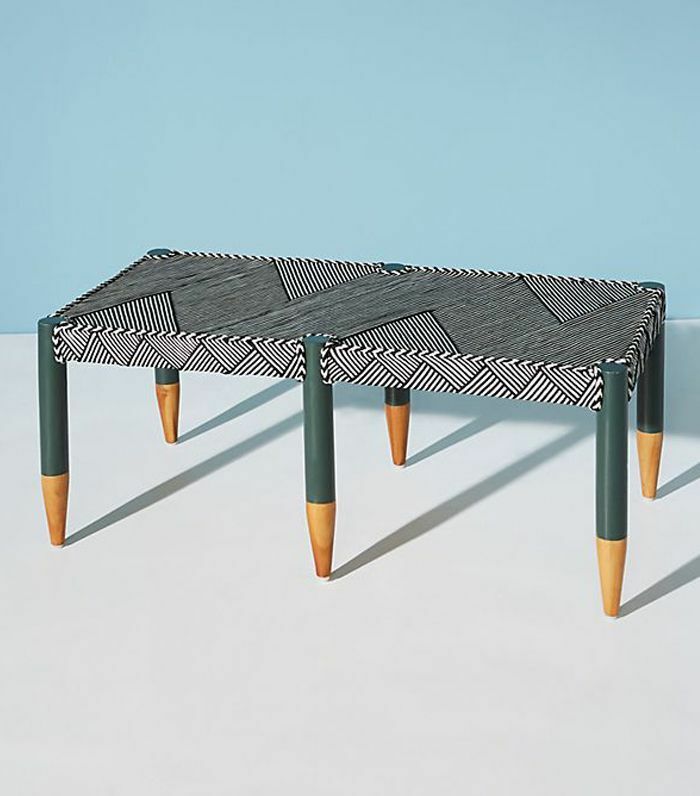 This coffee table will make you feel like you're in an '80s music video. This unique piece is insanely affordable and is perfect for small spaces. 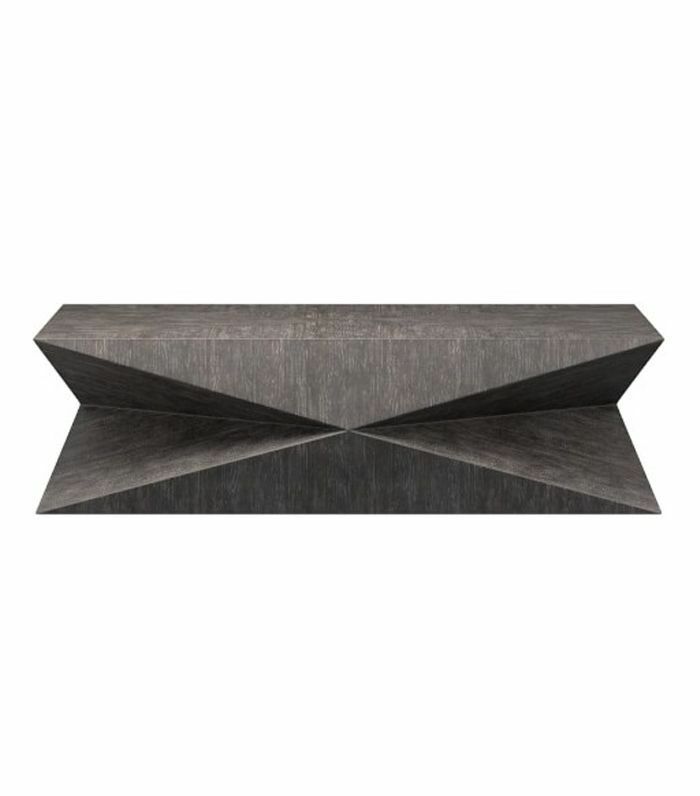 No one would ever guess that this metal patchwork coffee table is under $500, but if you act fast, it's nearly 50% off on West Elm! Travertine is the new marble. 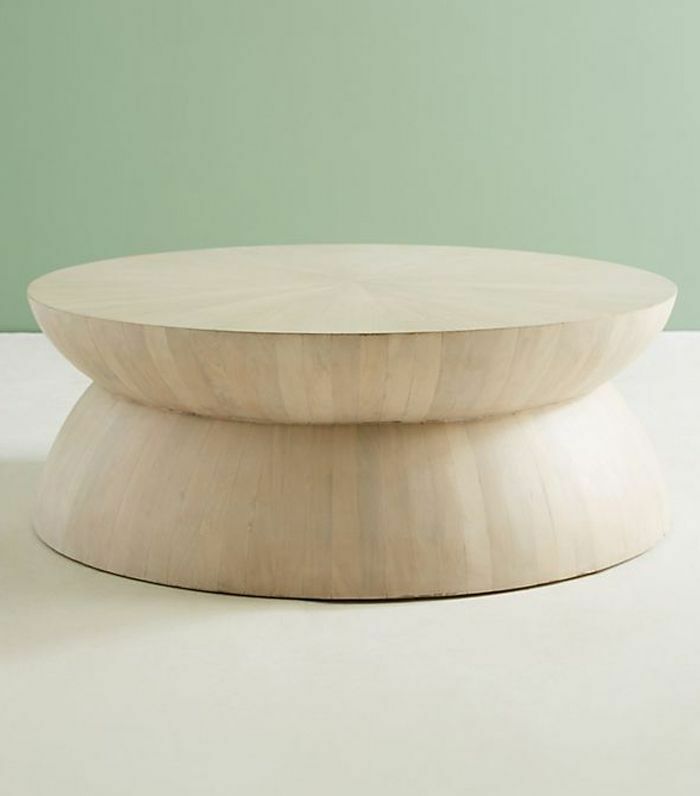 If you're a minimalist at heart, you'll love this coffee table that's rich in character and ultra simple in shape. If you need a piece to add a little weight to your space, look no further than this hand-carved coffee table made from beached rosewood. 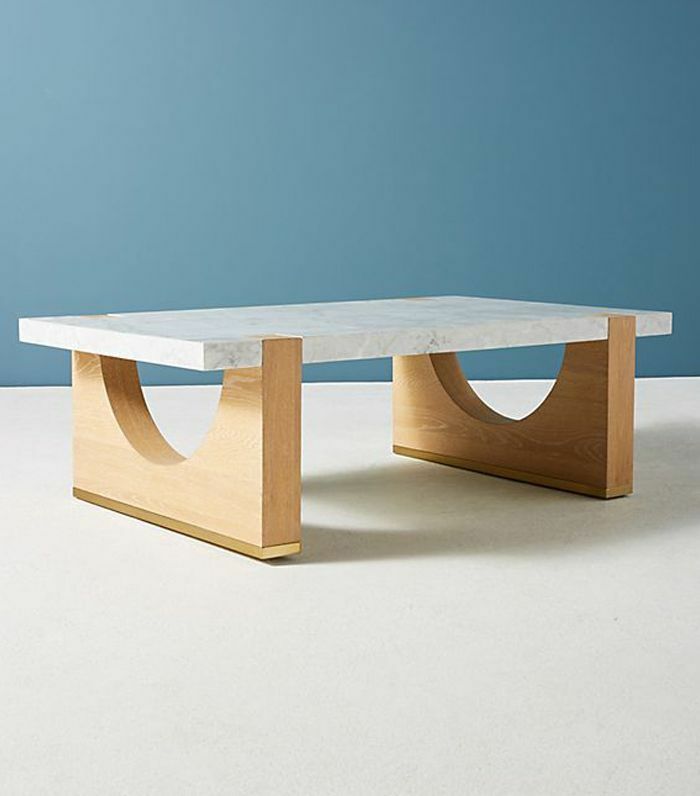 This unique coffee table by Brooklyn-based studio Volk is a statement piece to keep for a lifetime. 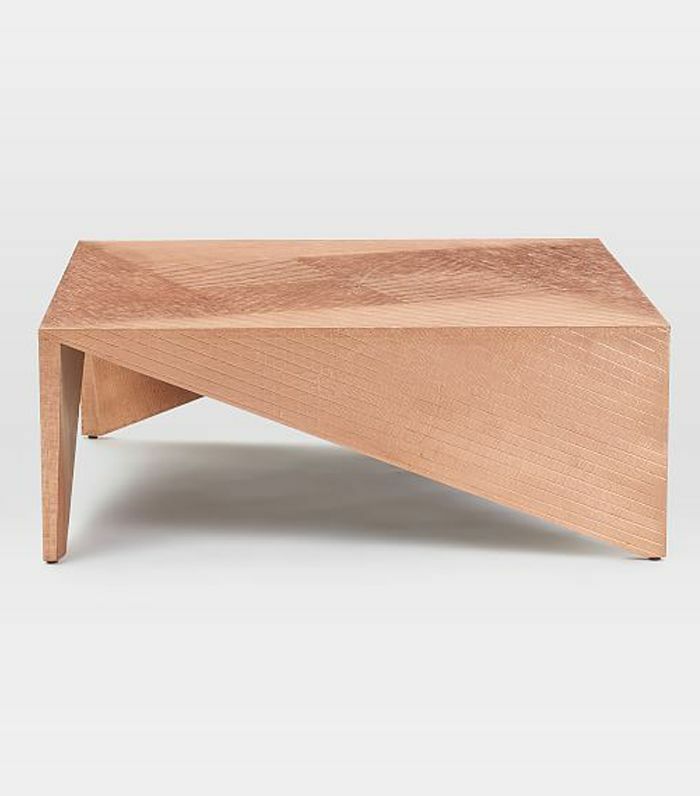 This is undoubtedly our favorite coffee table under $300. The curved piece also comes in a light wood finish if you're color-shy. 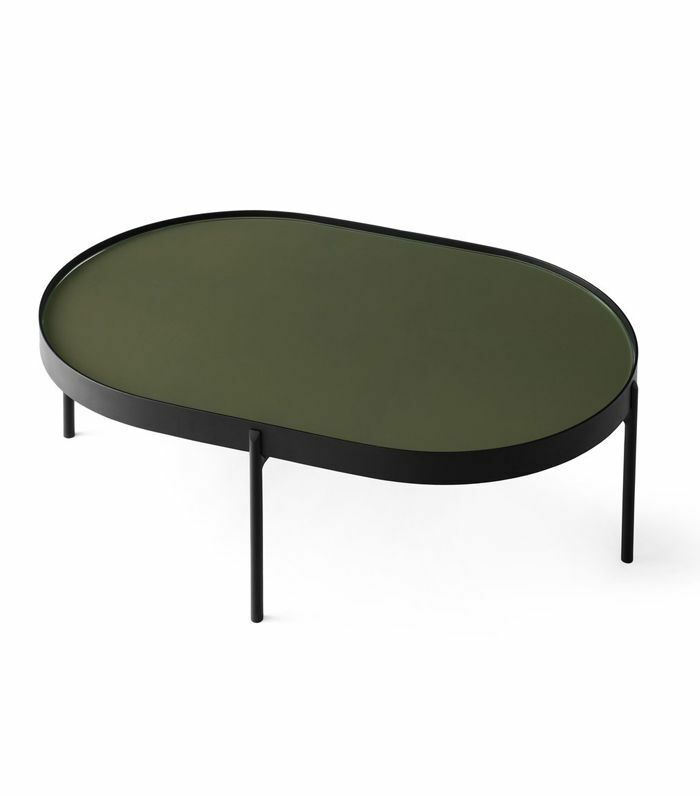 We love the curvy nature of this dark green coffee table with a glass top and tone-on-tone powder-coated legs. 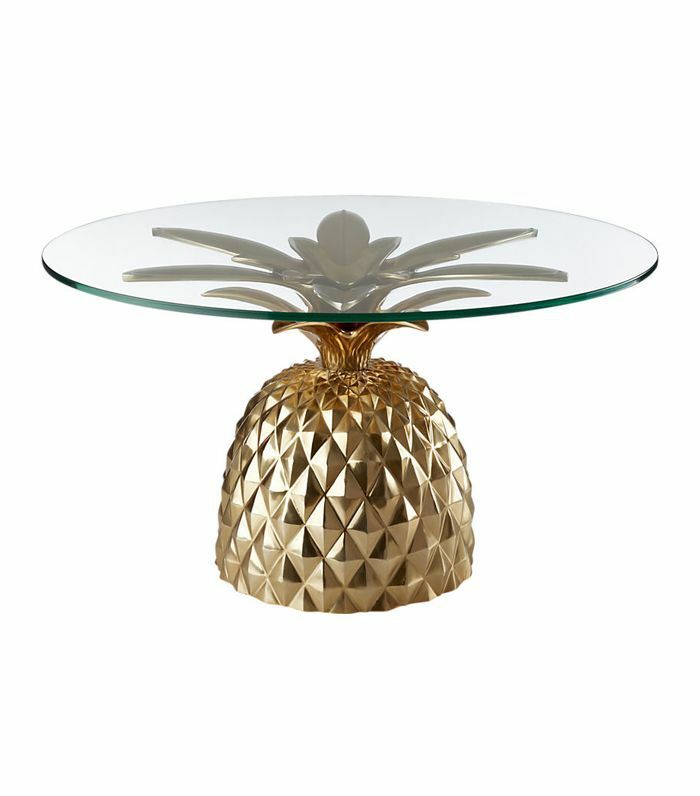 Tropical lovers will love this CB2 coffee table that feels like a mini vacation every time you enter the room. 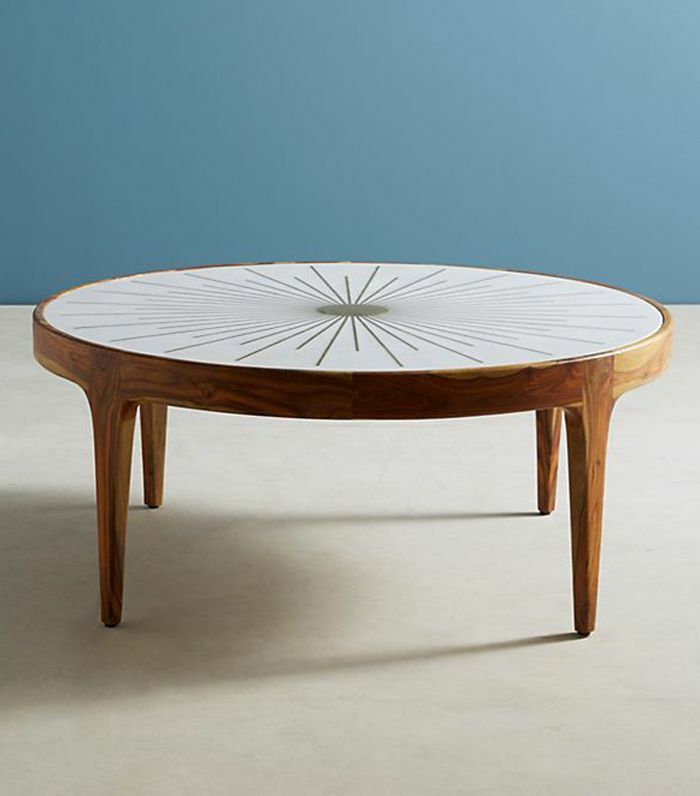 Midcentury lovers will adore this Indian rosewood table with a beautiful inlaid sunburst brass-and-marble pattern. 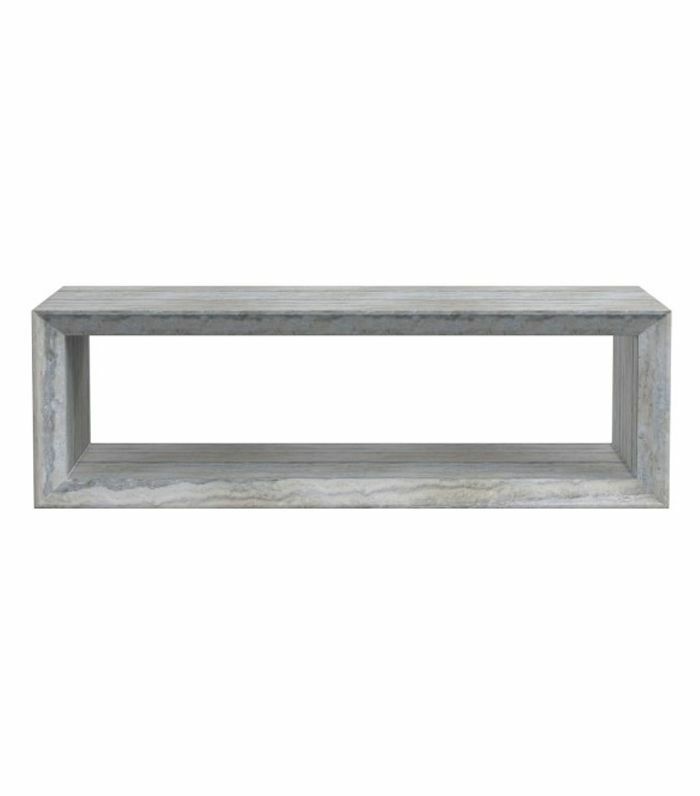 Minimalist and sleek, this coffee table, handcrafted in chic smoked ash, will elevate the look of your whole space. This West Elm coffee table is unique both in material and in shape. The hammered metal and etched copper surface make this minimal modern piece feel a little more glam. Why have one coffee table when you can have three? This selection of side tables looks even better in a set. If you want a bold coffee table that will stand out from the rest of your living room, try this indoor/outdoor number from Anthropologie. The woven rope and natural teak legs are a match made in heaven. 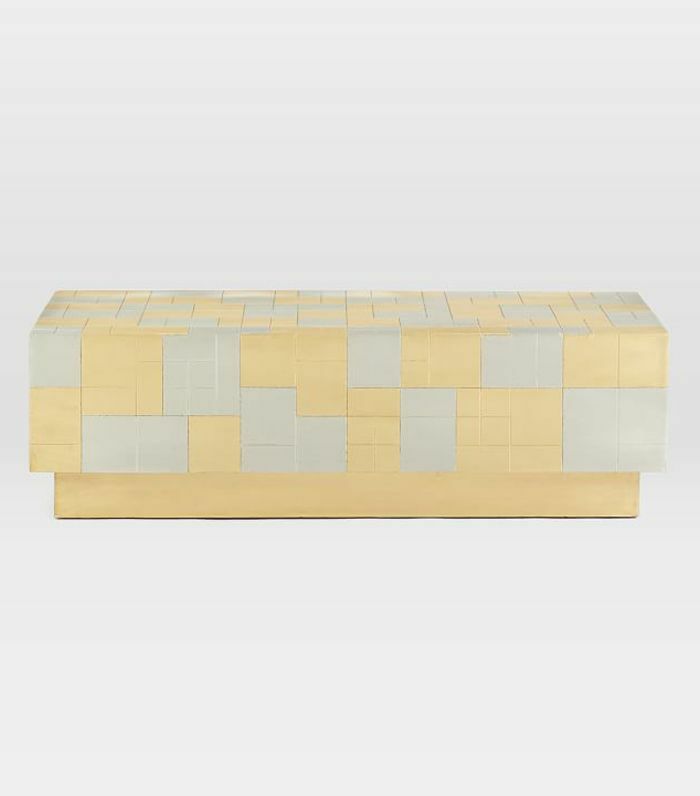 If you're looking for a unique statement piece that will last you for generations, try this &Tradition palette coffee table. It's a guaranteed conversation starter. 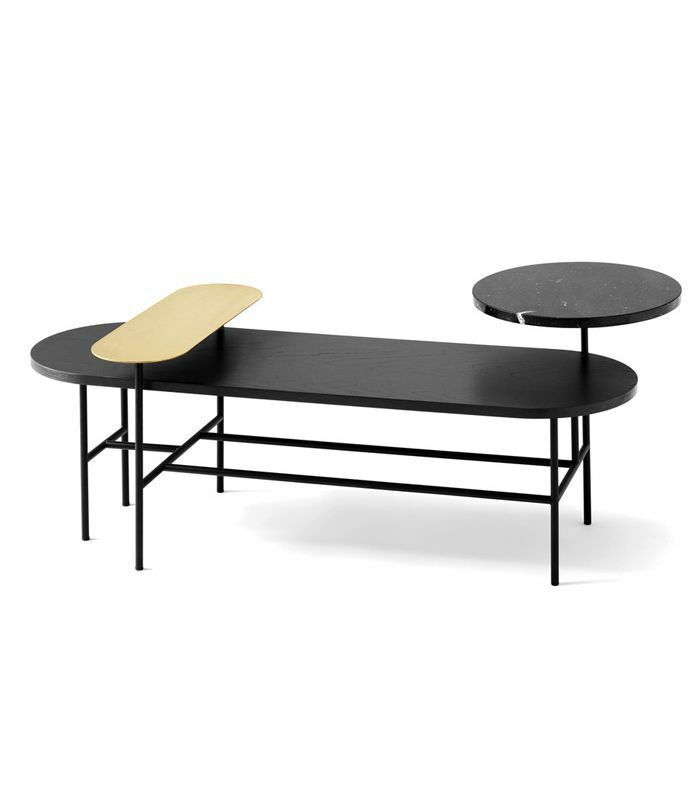 Next up: We found five modern coffee tables under $300.